Kevin O'Keefe, whose "Real Lawyers Have Blogs," is someone I read regularly. 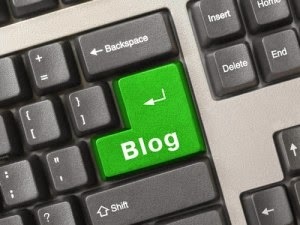 His take on how and why to blog is informative and useful. However, I must take issue with his post yesterday, "Every law student is on law review." I get that blogging offers law students an opportunity to speak, to be heard, and to join in conversations about legal topics of choice. And I understand that Law Reviews are usually closed clubs, offering membership to only a select few students, and publishing notes and comments of even fewer of those selected. But to equate blogging with legal scholarship is simply incorrect, and the post's Pollyannaish view on blogging as a professional endeavor is far too sunny. With respect to the former, as a former law review member, I can say safely that journal articles and blogging are very different creatures. To be published, one has to find a topic with a hook, invest ridiculous amounts of time researching the issue and drafting a comprehensive article, and then find a journal willing to include it. The arguments that are eventually presented are supported by a mountain of citations, and ought to thoroughly address contrary positions. The articles and citations are then edited by review staffers, who check for accuracy and form, before the senior editors begin chipping away. It is a lengthy process. In terms of temporal relevance, time must be viewed sloooowwwwly. Blogging, on the hand, is very much an unchecked, immediate endeavor. You have an idea or thought (important or not, well formed or not, intellectually coherent or not, supported by facts or not), and, a few minutes later, voila! You are the proud author of a blog post. The only quality control is the spell check function, which, in your haste to hit "Publish" you may forget to use. I am not denigrating blogging. Far from it. There are blogs that I really enjoy reading, which are informative, and that help me wrap my head around certain topics. I enjoy reading certain people's posts, and often get more out of the subsequent dialogue than the original post. In short, I am a fan of blogging, and not simply because I have this blog. More importantly, they allow us to have conversations about issues of the day that don't lend themselves to detailed articles that are based on months of research and drafting. They also provide a sort of town square where we can have an exchange of ideas and viewpoints in a very immediate way. But let's not kid ourselves. For me, blog posts are usually hit and run things. I read them more frequently than Law Review articles because I can scan them quickly, often on my phone while I'm commuting. And I can find them easily, whereas legal journals are often hidden and tucked away behind pay walls. But the articles are substantive; they provide history, context, citations to support factual claims, and an analysis that has been considered and reconsidered for months at a time. Now a mid tier student with passion for an area of the law or societal niche can flip up a WordPress blog and have at it. They’ll immediately connect with other like minded thought leaders whether law students, law professors, lawyers, and business/societal leaders. Peer review is immediate and wide. Their content will be seen immediately, commented upon via social media, and they’ll join a national or, in some cases, world-wide conversation on the niche. I must disagree with the notion that if you build it, they will come. The internet is flooded with blogs nobody reads. Much like an electronic bookshop filled with self-published novels and confessionals, there is plenty of material, too much perhaps, for the interested reader. So that's my rant of the day. I'm with Kevin O'Keefe, blogging is a useful way to join in discussions about everything from international politics to legal questions to how to rebuild an engine. It's also a great way to present yourself to others who work or are interested in your niche areas. But don't jump online and expect the world to know you're there or to give a damn what you think. That's something you'll have to earn over time with quality content, perseverance, and decent networking skills. But legal scholarship it's not.